Anything that doesn’t fit the other categories gets dumped here! Because we’ll be using a number of plugins it would be wise to get some help to manage them. vim-plug allows us to do this, it integrates neatly with Github, pulling vim plugins directly from Github allowing us to install them using the Vim command :PlugInstall. Follow the guide to get vim-plug installed and then come back for step two. Run the :PlugInstall command to get vim-plug to install the plugin you’ve added to .vimrc. Run the install script from within this directory – this is OS specific so consult the docs on their Github page for your OS. 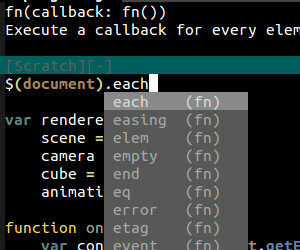 This gives us an autocomplete engine, helpful, but we start to get closer to our goal when we introduce Tern. Not much use on it’s own but when we pair it with Tern for Vim; a Vim plugin that fires up a Tern server and interacts with it based on what we’re editing we get something a bit more powerful. 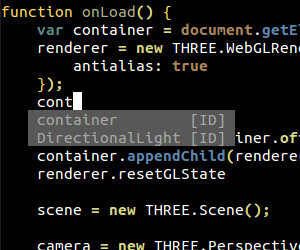 Now we can see some decent code suggestions… but only for our code. Create a .tern-project file in the directory where you edit js files and paste the above into it. We want to edit the loadEagerly part above and provide it with the library we want to load – in this case jQuery. 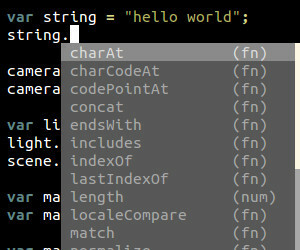 Finally we have autocompletion and doc support – loaded at the top. Now we can have a fixed directory structure. All we need to worry about is popping our js libraries into the /home/alex/js-test/js/ folder and they’ll be picked up by Tern when we enter Vim. Be wary this folder doesn’t contain any more than is necessary. I made the mistake of including the wrong directory that contained 1,000s of none js files – suffice to say it crashed Vim and brought the CPU to a halt. That’s it, hopefully everything’s gone through smoothly let me know if it hasn’t.